Your strategy is all in place but if your organization does not have a culture of accountability and engagement, you may have still have high performance but is it sustainable? Culture must be regularly re-examined because what got us here will not get us there. In the words of Peter Drucker - "Culture eats strategy for breakfast". Subscribe to Joseph's Good Monday Brief - sent directly to your mail box. Click on the left video for a sample. ​to achieve the results of tomorrow. CULTURE SETTING - Setting the right standards of leadership, beginning at the top. The foundational stage of culture transformation is to ensure that the cause (what we stand for) is bigger that the cost (what we sell). The coherency of the vision-mission-values is critical to ensure that there is consistency in the organization's leadership DNA. All senior leaders must be crystal-clear on what is the story behind the cause we stand for. CULTURE COACHING - The manager's behavior is the single most significant contributor to employee engagement and if we do not address the "manager factor", no amount of team-building activities can transform an organization's culture. What is needed in the early stage of culture change is not building the team, rather it is about engaging the managers and developing them from good to great managers. When you have great managers, half the battle is already won. The four vital roles of a great managers are the ability to identify talents, set expectations, motivate & engage and develop their team members. CULTURE MOTIVATION - One significant contributor to employee engagement is to have the right job fit. How can the right job fit be possible if employees do not know how to articulate and communicate their talents to their managers? In addition, we typically recommend that the Gallup Q12 engagement survey to be implemented as a way to measure the state of employee commitment. The result of the Gallup Q12 engagement is also linked to the state of managerial competencies so the alignment is coherent. Besides job fit, we also provide input into ensuring cultural consistency in the hiring, on-boarding, performance appraisal and career development path. Once the leadership DNA is in place, the planning of competency frameworks, talent acceleration programs, management development program becomes a logical next-step process. Planning for competencies without the right culture design element in place is like putting the cart before the horse and when employees do not see the coherent flow from culture to curriculum, it will breed skepticism and disillusionment. Click here to download the program outline for Culture Transformation Roadmap. 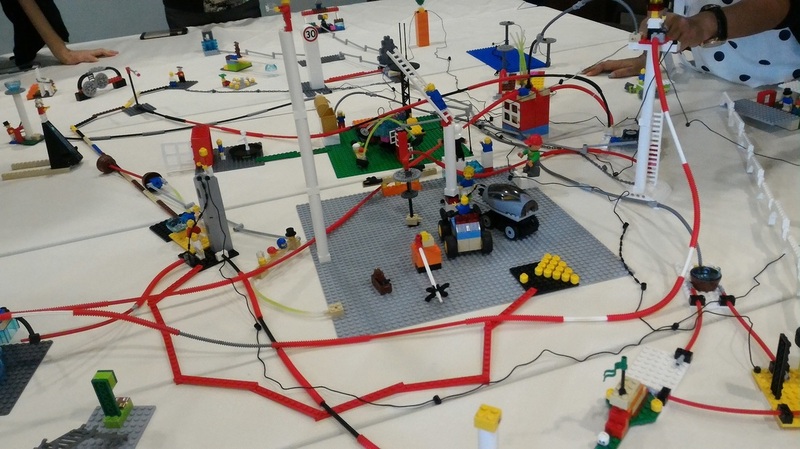 Click here to download an introduction document to Lego Serious Play. Joseph Tan is the first Gallup-Certified Strengths Coach in Malaysia after attending the pioneering Accelerated Strengths Coaching Program conducted by Gallup for the first time in Asia. As a certified Gallup Strengths Coach, Joseph offers a systematic and proven approach to train, consult and coach your organization towards developing a strengths based culture. Click here for Gallup's strategic consulting roadmap towards achieving higher levels of performance. In addition to strengths-based coaching, Joseph also focuses on consulting with organizations to improve employee engagement using Gallup's proprietary Q12 engagement metrics. Engagement is key to sustainable performance and growth. Click here to gain access and information to Gallup's powerful Q12 engagement survey.